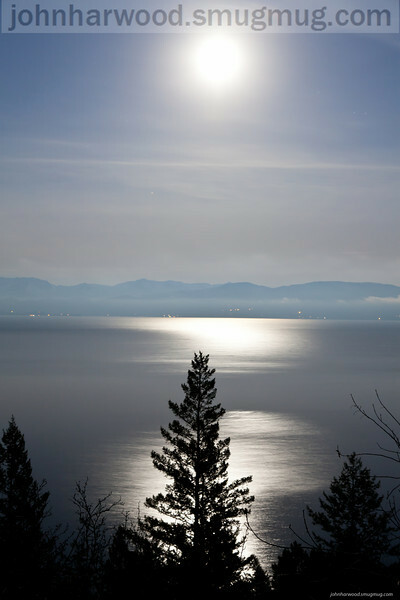 Frosty December Moon over Flathead Lake. First cold of the season . Near 20 degrees below zero. Taken on westside of lake near Lakeside looking toward Bigfork, Montana.